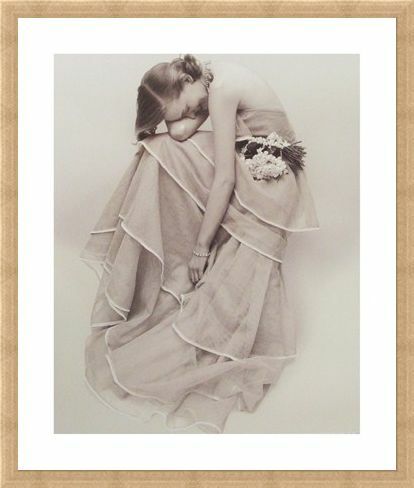 Photography Print: If you have a passion for fashion then you will surely love this stunning photography print by Norman Parkinson. Renowned for his incredible contribution to the fashion industry, Parkinson is best known for his work with fashion magazine 'Vogue'. 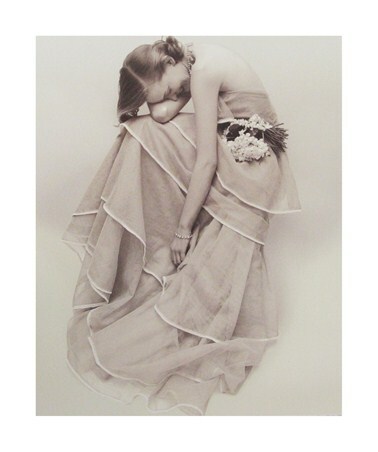 This wonderful image captures a young woman in a tiered evening dress as she rests her head on her arm with a beaming smile on her face. The luxuriously detailed dress cascades down her body and is complimented by a bunch of white flowers which rest in her lap. 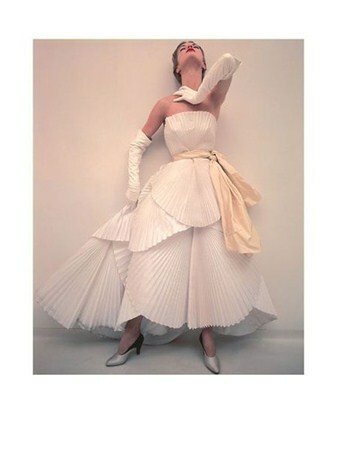 If you are looking for a photography print which oozes style and sophistication then look no further than 'Tiered Evening Dress, March 1951' by the talented Norman Parkinson. High quality, framed Tiered Evening Dress, March 1951, Norman Parkinson print with a bespoke frame by our custom framing service.